AANI works in partnership with Northern Ireland Ambulance Service who provide our medical crew, medicines and equipment. We operate seven days a week between 7am and 7pm. We have one operational helicopter and one back up helicopter, as well as a rapid response vehicle. It takes £2 million each year to sustain this service. 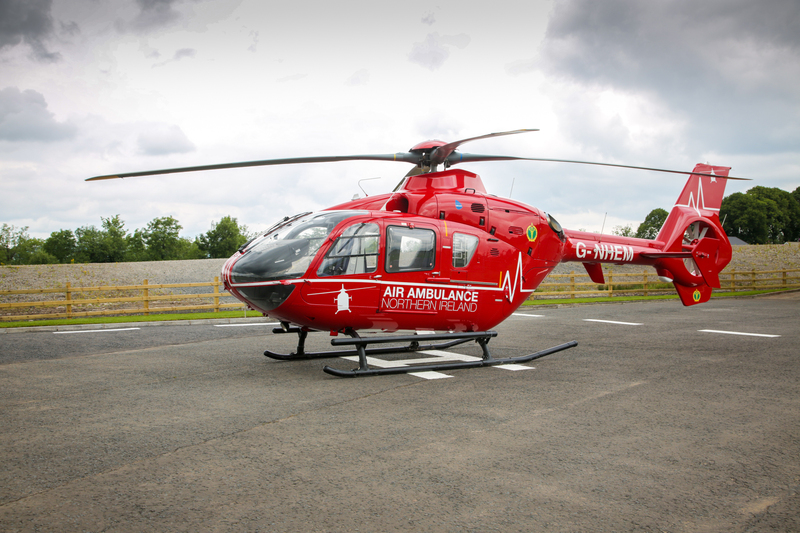 Our operational base is located just outside Lisburn, Co. Antrim and our back up helicopter is based at St Angelo Airport in Enniskillen. When we are tasked it takes a maximum of 10 minutes to be airborne. Our helicopters and highly skilled pilots are provided by Babcock MSC Onshore Ltd; and our contract also covers maintenance and engineering support. We rely on volunteers to help us. To get involved please visit our volunteer page to sign up.